Without law, there's only power. But who's pulling the strings? "Baldacci and Meltzer fans will appreciate the plot's twists..." --Publishers Weekly. Imogen Trager, the determined heroine of the "highly suspenseful" thriller, Faithless Elector, returns. Pushed to the edges of the investigation for her conduct during the Faithless Elector plot, she starts digging where no else thinks to look. She enlists the help of a computer analyst, Trey Kelly. 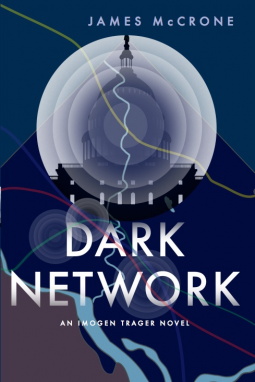 Together, by scrutinizing gaps in the FBI's data, they find the backdoor no one thought to lock, uncovering the trail of a vast, coordinated group of criminal cells woven into a sinister dark network, with threads leading everywhere. She'll have to fight against time, the network, and even her own colleagues to stop a conspiracy still bent on stealing the presidency. In the process, she'll have to confront her own views on what the Constitution is meant to protect and who she's becoming. Even if she and Trey are successful, what kind of America will remain?